Looking for the best pottery and ceramics magazines for your studio or as a gift? Buy subscriptions online to popular publications like Clay Times and Pottery Making Illustrated. 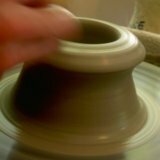 Pottery making tutorials can help you master hard to learn techniques. Photos and illustrations of other pottery artist's work offer inspiring new designs and styles to explore. This not a comprehensive list, but it covers the most popular and widely read ceramics publications. 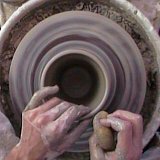 My Recommendation - If you only buy one magazine to help you become a better potter, I recommend Pottery Making Illustrated. In their own words, "Pottery Making Illustrated was created with one goal in mind — to provide proven tips and techniques for the studio potter in an easy-to-understand step-by-step format." 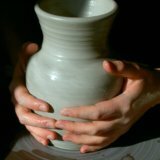 Clay Times - Covers techniques, artists, history, and clay culture. 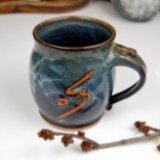 Pottery Making Illustrated - Dedicated to teaching you pottery making techniques in an easy-to-follow, step-by-step format. Ceramic Review - Includes techniques, artist reviews, and commentaries on contemporary clay culture. Much like good pottery making books, pottery magazines can be a great resource to have in the studio. They also make great gifts for the aspiring potter. It can be so hard to know what a potter might want or need, but you can't go wrong with a quality pottery book or magazine. It's something they can use over an over an keep as a studio reference.